Watch out, here be dragons! 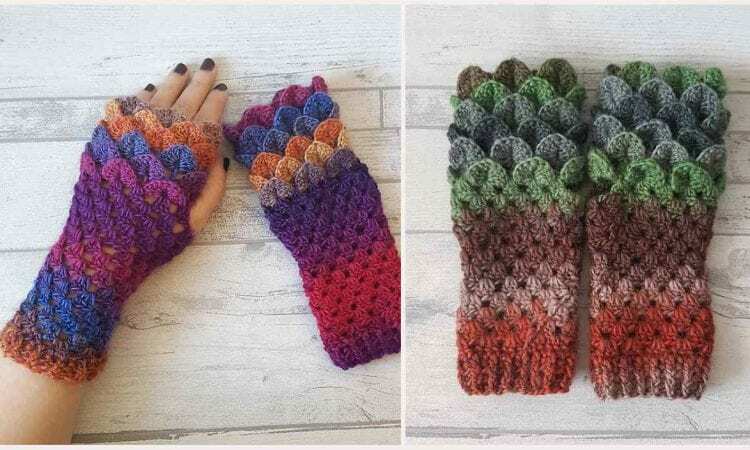 These beautiful fingerless mitts, with a dragonscale texture and a color pattern imitating the shimer of a dragon’s scales are sure to be a hit with any fantasy fan in your house. They could even work in a costume. A link the free pattern is at the end of the post. Please STOP sending the pop ups. To unsubscribe from notification, you have to change options in your phone or computer. Sorry about that, I can’t do it for you, because your device is checking for notification by its self.